Just a few weeks ago, O'Micks published a followup to his original analysis in Answers Research Journal, wherein he did a complete about face. He tried to add postcranial characters to his original analysis. In doing so, he cut his sample of species to just a handful of his original study. O'Micks discovered that his new sample of characters did not show correlation between Homo naledi and other members of Homo. 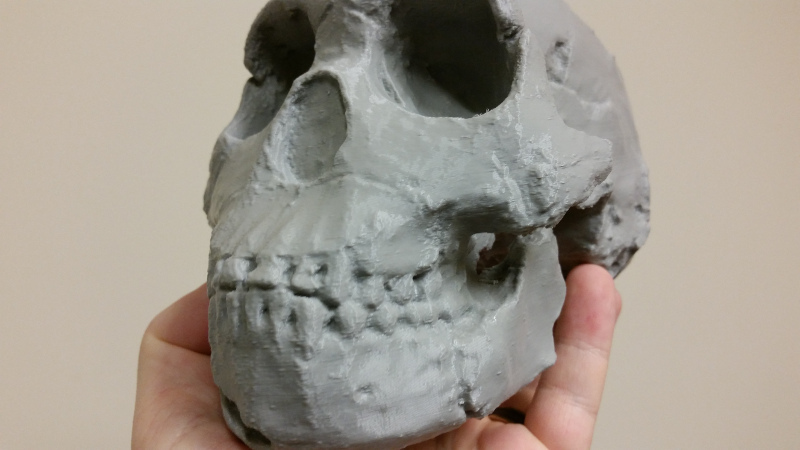 He claimed that his results supported excluding Homo naledi from the human holobaramin. This second study reminded me of the same study I did about six years ago with Australopithecus sediba. I presented the results at ICC in 2013, and my conclusions were quite different. I tinkered around a bit and discovered that reducing the number of species in my sample made all the good correlations disappear, regardless of what kind of characteristics I used. When I used a full set of species, I found correlation between A. sediba and Homo species, but when I cut the set of species down to just six, those correlations disappeared. This was exactly the same thing O'Micks found. I concluded that the sample size was playing tricks on my study, and I couldn't say one way or another if A. sediba was human based on that small sample size. So I wrote a response to O'Micks, which was published on Wednesday in ARJ. It basically says what I just said, but in more technical jargon (if you can imagine such a thing). O'Micks responded to my response, in which he repeats a few discredited claims about H. naledi. I've addressed some already (these are not the remains of two different species; the bones were not washed into the cave). He also introduces some new errors, like "humans do not tend to bury their dead alongside animal remains." That's actually the exact opposite of the truth. Ancient humans often buried their dead with various animal bones, teeth, horns, and antlers. Anyway, I'll write up another response to the response to the response. We'll see how it goes. In the meantime, you can read the whole exchange for free. O'Micks. 2016. Homo naledi Probably Not Part of the Human Holobaramin Based on Baraminic Re-Analysis Including Postcranial Evidence. ARJ 9:263-272. Wood. 2016. Taxon Sample Size in Hominin Baraminology: A Response to O’Micks. ARJ 9:369-372. O'Micks. 2016. Reply to "Taxon Sample in Hominin Baraminology: A Response to O’Micks." ARJ 9:373-375.